I am such a huge fan of cornbread. 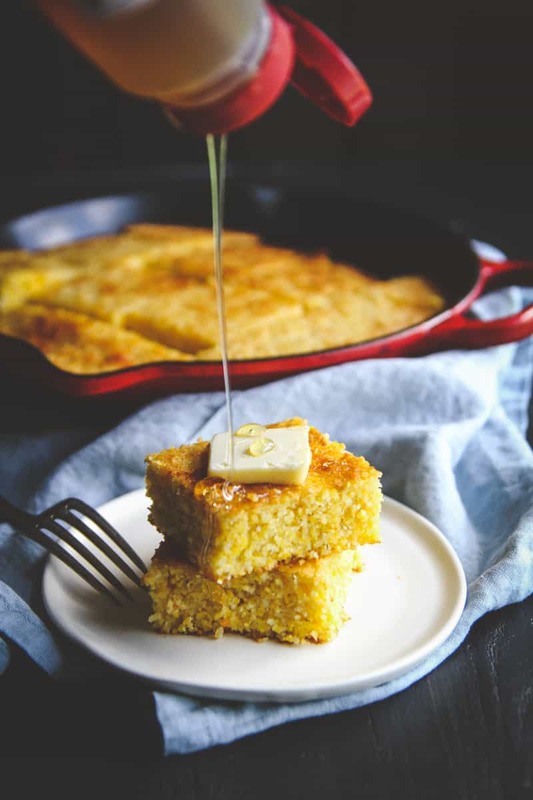 Not just any cornbread though, it has to be the perfect slightly sweet cornbread with a little crumble-yet-softness to it, deliciousness in every bite, which is why today I’m sharing the recipe that I have made for years and years that is my go-to when making cornbread: slightly sweet skillet cornbread. 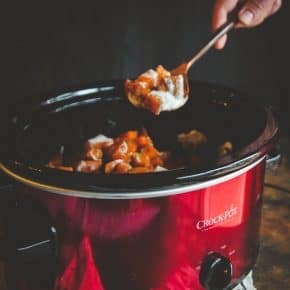 Cornbread transcends seasons for me – I make it for summertime BBQ’s and picnics, I make it in the fall to be served alongside this incredible vegan red lentil chili, I make it in winter as a side to this slow cooker stew, I make it in the spring to go with this 5 ingredient salsa chicken and quinoa. What I’m trying to convey is that this cornbread recipe is my favorite, it rocks! Something else that is a longtime favorite of mine and that really rocks? 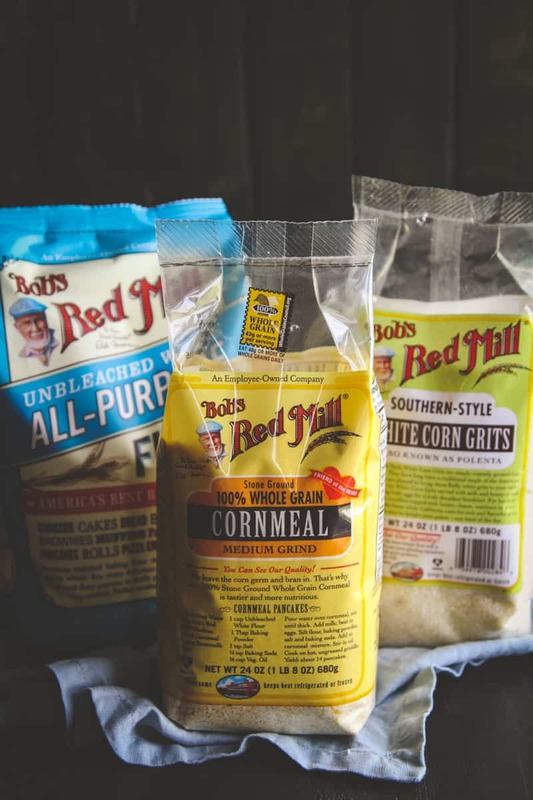 Bob’s Red Mill products! I literally have had Bob’s Red Mill products around me since I was kid. 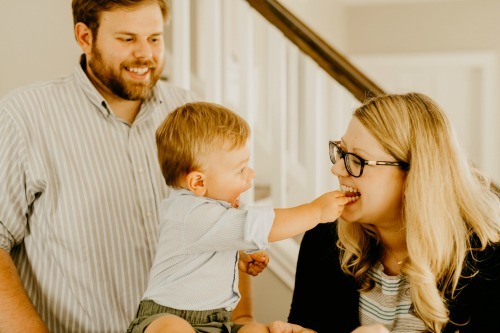 My mother always stocked our house full of wholesome grains and was into organic food and quality ingredients, shopping at little natural food stores, all before it was considered “cool”. That same love of Bob’s Red Mill has carried over into my adult life, I now find myself going straight to the products I know and love when at the grocery store. And my pantry – I’m pretty sure it could serve as a showroom for Bob’s Red Mill products – I have a strong love ALL their products – no joke, I probably have over 30 different products in my pantry at one time. 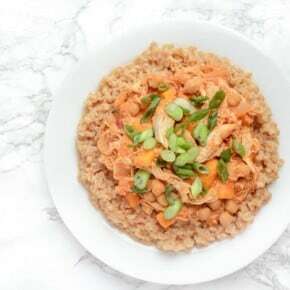 A few of my favorites – their cornmeal (I use it to make polenta dishes and used it to cornbread), their tricolor quinoa blend (used in this dish), I love using their oats when I make energy bites (like these 5 ingredient oatmeal cookie energy bites), I just tried their 7 grain pancake and waffle mix and shared on SnapChat (username: sweetphi) how much I was in love with it – I made a batch and froze some and have been having them for breakfasts throughout the week, and their new oatmeal cups, omg so good and convenient for on-the-go breakfasts. I could literally make a list of each of their products and how I use them because they’re all amazing. You cannot go wrong choosing Bob’s Red Mill products. For this cornbread recipe I used two of Bob’s Red Mill products: yellow medium grind cornmeal, and white cornmeal. 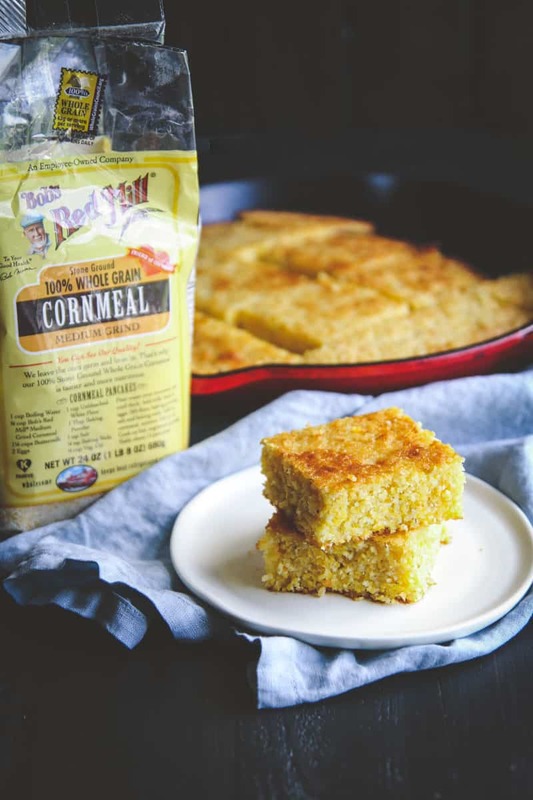 The combination of both cornmeal products really sets this cornbread apart, it’s what gives it the perfect texture. I also bake the cornbread in a skillet which gives the crust a nice little crispness. So I have a question for you – can you remember the first time you had cornbread? I ask this because I seldom remember the first time I had a certain food, but with cornbread, the memory is vivid! I grew up in Chicago and to get to school it was two bus transfers on the way there and two transfers on the way back. On the way home, there was a 15 minute window between buses and there was this little sandwich shop right by the bus stop that served cornbread as a side. It was kind of an odd side for a sandwich stop to have, but when I opened the bag and found a plastic wrapped piece of cornbread I took a bite and remember how good it was. It was slightly sweet and a surprisingly brilliant side – kind of like a dessert? Just a little something extra. Whenever I would get out of school around lunch time, I would stop there, just for the cornbread. Over the years I’ve recreated the recipe and am happy to share my recipe for slightly sweet cornbread made in a skillet. Preheat oven to 400 degrees. Put a large skillet into the oven as it preheats. In a bowl combine yellow and white cornmeal along with the flour, sugar, baking powder and baking soda, stir so that all the ingredients are mixed. In another bowl add the buttermilk, honey, egg and melted butter, stir to combine. Slowly pour the dry mixture into the wet mixture and stir with a wooden spoon. Sprinkle in the shredded cheddar and stir to incorporate it. Carefully remove the skillet from the oven and spray it with cooking spray, then pour batter into the skillet (it will sizzle a little). Bake for 20-25 minutes, until the top and edges start to turn brown. You can cut the cornbread in squares or wedges, I prefer squares. This post is brought to you by my partnership Bob’s Red Mill, a company whose products I truly use and love. 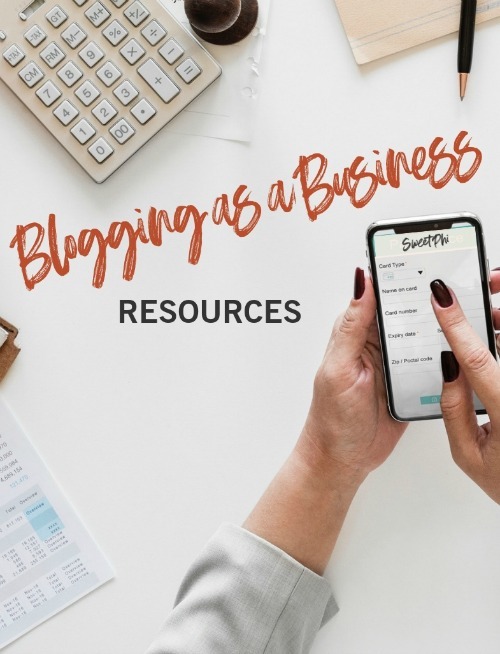 Thank you for supporting the brands that make the Sweetphi blog possible, as always, all thoughts and opinions are mine alone. Oooo cornbread! I’ve had hit or miss experiences with cornbread but I know this recipe HAS to be fantastic because you made it! 🙂 Love the pad of butter on the top, everything is better with butter. I tried cornbread for the first time when I was in nashville and I was hooked. I need to try making it myself, although that might be dangerous as I would eat it all haha. Cornbread – omg such a great dish! That’s so neat you tried it for the first time in Nashville, is it not a dish in the UK? I think you’d love it if you made it at home! I adore cornbread too, and BRM products are my favorite 😀 I have sooo much of their stuff in my pantry! 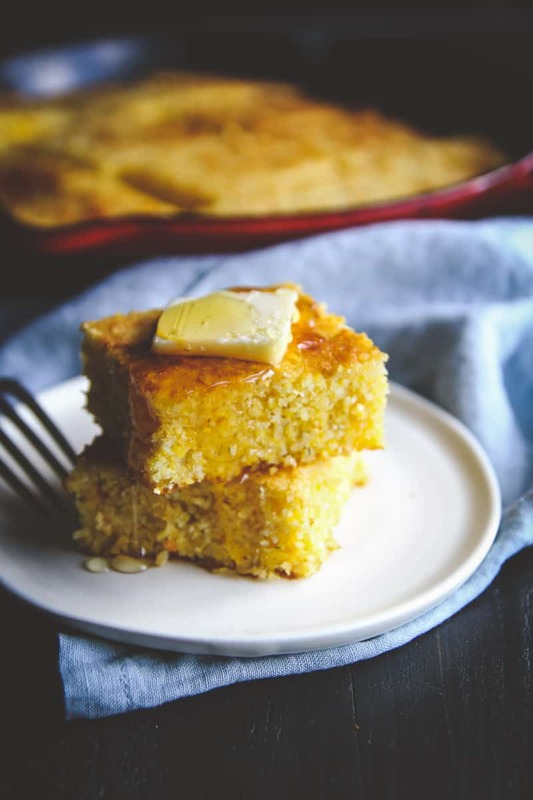 I seriously need to try this cornbread next – slightly sweet and a little crumbly is my favorite. Cornbread for life over here, in fact, I’m making this again this weekend for a BBQ. And Bob’s Red Mill – they truly are the best ever, aren’t they?! hey girl this looks so yummy! I grew up on cornbread or at least I remember eating it for years now! That’s so nice to hear that you grew up on cornbread, it’s such a comforting food, isn’t it? Thank you so much for your lovely comment! 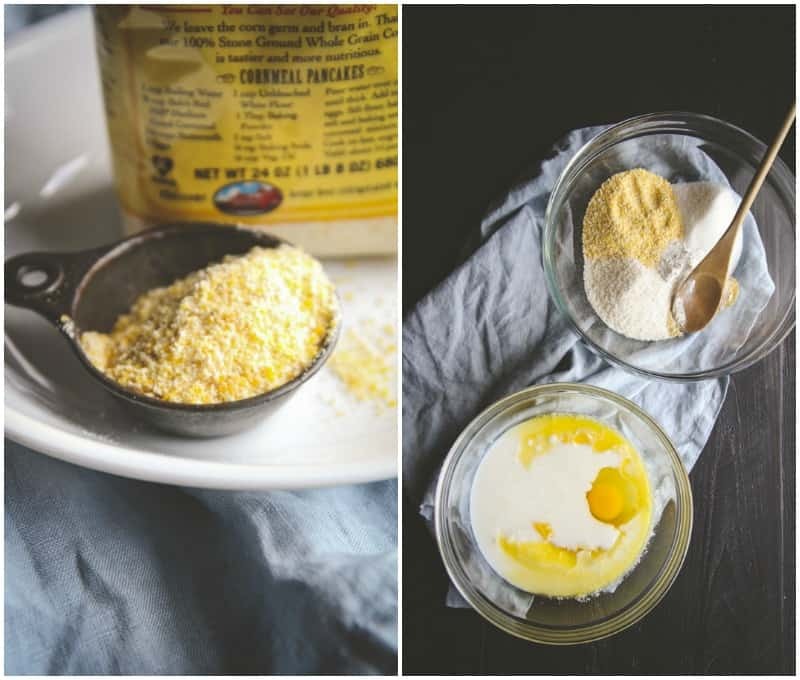 I love that you used two different kinds of cornmeal — genius!!! I agree – cornbread definitely transcends all seasons! 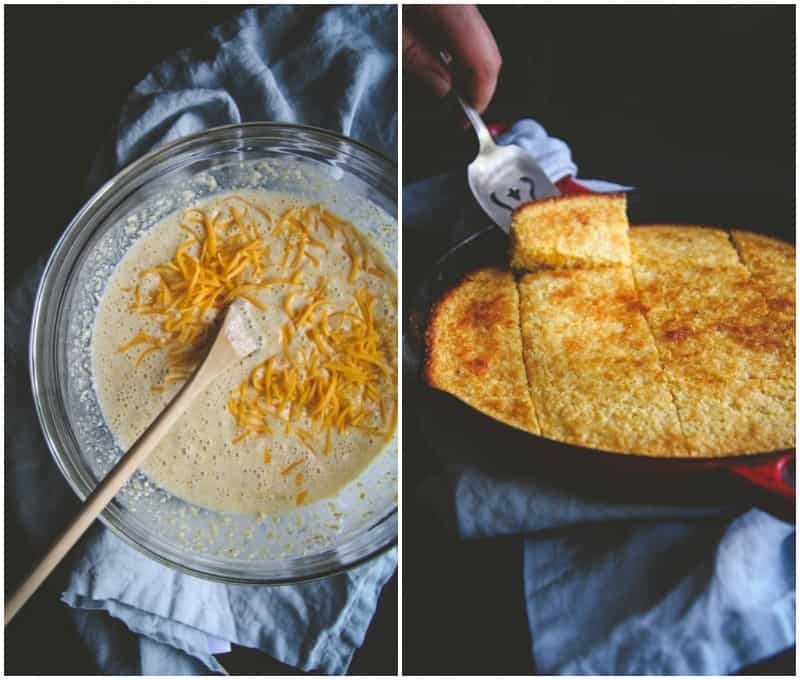 I am a hugeeee lover of any kind of cornbread – this skillet one sounds deelicious! MMMMMMMMM! Cornbread is my ultimate comfort food! Soaked in maple syrup (or butter) on a Sunday laying around in my pjs! Delicious! 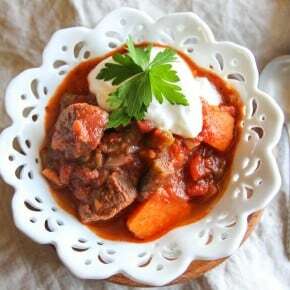 Love that you made this in a skillet too! I think you’re going to absolutely love it! Thanks for commenting! Could I swap flour for gf flour?